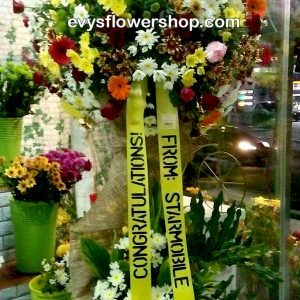 Send Two layered inaugural flower stand. 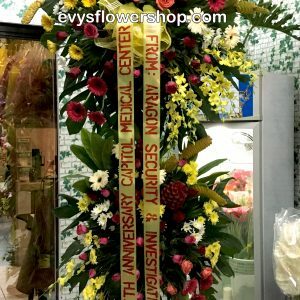 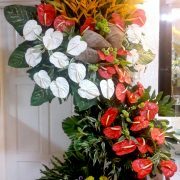 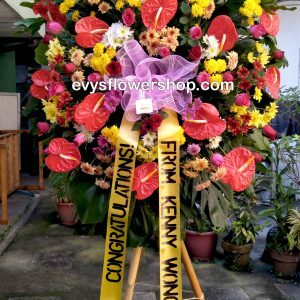 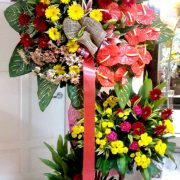 Consist of anthuriums, orchids, mixed mums and fillers. 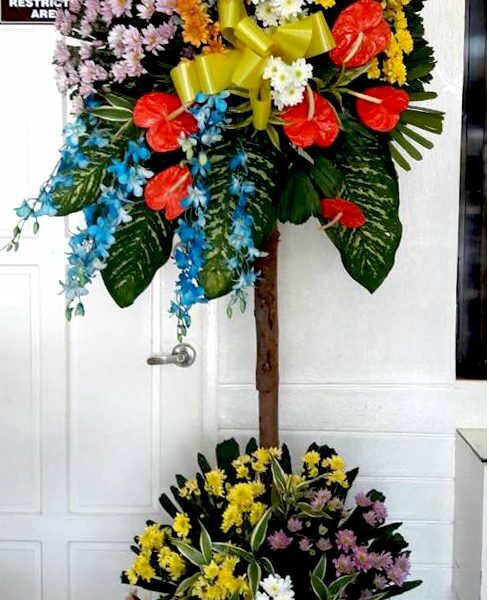 Atleast 7-8ft in Height.